If you like curries and food with a little kick to it, you’re likely familiar with turmeric. Turmeric is also what makes mustard yellow. It has a warm, peppery, and bitter flavor. It’s been used for a long time in ancient Chinese and Indian medicine as an anti-inflammatory, and there have been a number of discoveries linking it to other healing benefits. The active ingredient that seems to provide turmeric with a number of potential healing abilities is curcumin, an antioxidant present in high amounts in turmeric. A new study published in the journal Cellular Physiology and Biochemistry indicates that turmeric might provide therapeutic benefits in reversing age-related cerebrovascular dysfunction. In fact, the team went as far as saying that turmeric could be an effective strategy to stop or reverse the condition and the concerns that come along with it. Cerebrovascular dysfunction (or disease) is a group of conditions that impact blood flow and circulation to the brain. In some cases, the arteries to the brain become inflamed, causing obstructions that raise blood pressure. This can result in stroke, dementia, and other serious conditions. It primarily affects people who are older and have a history of diabetes, smoking, or heart disease. There are limited, if any, truly effective measures offered in conventional medicine for this condition and none have been able to reverse the condition. This study offers the idea that a natural, effective and affordable solution may be as close as the nearest grocery store or spice shop. Rats were fed curcumin for a month. A group of 24-month-old male rodents were tested against a control group of younger, six-month-old rats to identify any impacts curcumin might exhibit. After a month of treatment, “remarkable restoration” of the ability of blood vessels to naturally relax was noted in the aging rats. This allowed for easier blood flow and circulation to the brain. The team made particular note of curcumin’s ability to increase nitrous oxide (NO) bioavailability, allowing the inner blood vessels of the brain to dilate. In turn, this can reduce cardiovascular risk and hypertension by allowing blood to move freely through arteries. 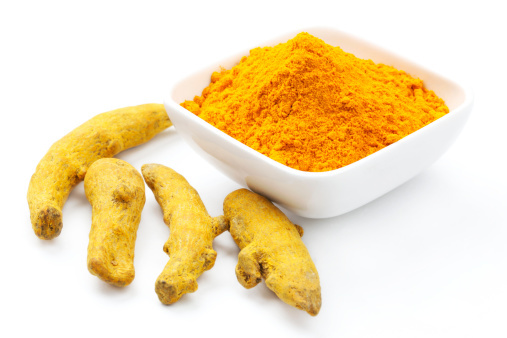 The results showed evidence that 5’ AMP-activated protein kinase (also known as AMPK) and UCP2—enzymes and proteins that play a role in homeostasis and metabolism—were activated with the curcumin treatment that also stimulated better blood flow to the brain. This is what researchers believe is the key to their discovery that curcumin might be an effective strategy to treat or reverse cerebrovascular disease. It’s important to point out that this study—and most on the effectiveness of the healing properties of turmeric—are pre-clinical. They have mostly been done on rats and the results have been mixed. That being said, there are potential health benefits offered by curcumin and other antioxidants and including turmeric in your diet is recommended. “Turmeric,” University of Maryland Medical Center web site, May 4, 2011; http://umm.edu/health/medical/altmed/herb/turmeric, last accessed March 19, 2014. “Turmeric,” WHFoods web site, 2014; http://www.whfoods.com/genpage.php?tname=foodspice&dbid=78, last accessed March 19, 2014. Ji, S., “How Turmeric Can Save the Aging Brain From Dementia and Premature Death,” Green Med Info web site, March 12, 2014; http://www.greenmedinfo.com/blog/how-turmeric-can-save-aging-brain-dementia-and-premature-death, last accessed March 19, 2014.